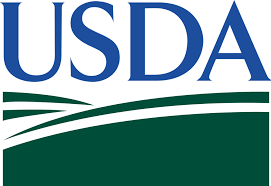 The U.S. Department of Agriculture yesterday approved a waiver that will allow participants in the USDA’s Supplemental Nutrition Assistance Program (SNAP) in North Carolina to buy hot foods with their benefits through October 31, 2018. USDA Secretary Sonny Perdue emphasized the importance of the waiver, noting that many North Carolina residents evacuated to shelters cannot store food and are lacking access to cooking facilities as a result. “As the state of North Carolina works to recover from this storm, USDA stands ready to provide common-sense flexibilities to help them meet the needs of their citizens,” Perdue said. Under normal circumstances, Perdue explained, hot foods and foods ready for immediate consumption cannot be purchased using SNAP benefits. Hot foods include items sold at authorized SNAP retailers that are hot at the point of sale. The waiver addresses the inability of those SNAP participants affected by the disaster to prepare food at home. SNAP authorized retailers may need 24-36 hours to be ready to accept SNAP benefits for hot foods due to programming changes that may be required at their stores. USDA also approved a waiver on September 16 to allow extended time for SNAP participants to submit claims for food lost in the disaster. Affected households in North Carolina now have until October 15 to report food losses and request replacement benefits so they can purchase food to make up for what was lost in the storm. FNS is ready to consider additional waivers and other actions that may be needed to help program participants who have lost food due to the disaster and to simplify the application process for affected households, upon request from the state. For more information on FNS assistance during times of disaster, visit www.fns.usda.gov/disaster. North Carolina residents may also call 211 for information about hurricane relief and assistance resources. USDA’s Food and Nutrition Service aims to increase food security and reduce hunger by providing children and low-income people the nutrition they need in a way that supports American agriculture and inspires public confidence. In addition to administering the federal nutrition assistance programs, including the Supplemental Nutrition Assistance Program, the agency also co-develops the Dietary Guidelines for Americans, which provide science-based nutrition recommendations and serve as the cornerstone of federal nutrition policy. For more information, visit www.fns.usda.gov.